Solid Ground’s Community Food Education programs offer cooking and nutrition classes to community members in low-income areas. We encourage maximizing food resources with adults and families through Cooking Matters classes and grocery store tours. With the help of volunteers, we provide hands-on, learner-driven education that combines cooking skills, nutrition knowledge, menu planning, budgeting, kitchen safety, and sanitation. Do you love cooking? Do you love to teach? Do you love to eat healthy? 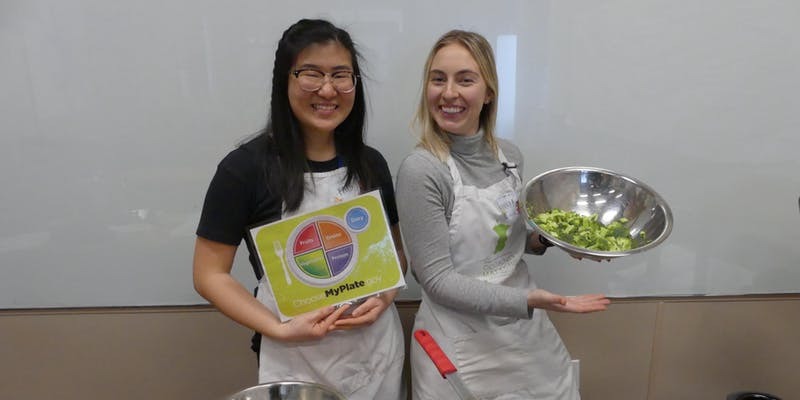 Cooking Matters is seeking volunteer Cooking Facilitators, Nutrition Facilitators, and Class Assistants for our 6-Week cooking and nutrition education courses to share their knowledge and skills with Seattle area communities vulnerable to food insecurity. Questions about Community Food Education volunteer training or opportunities? Cooking Matters is a partnership of Solid Ground, the national anti-hunger organization Share Our Strength, and the No Kid Hungry Campaign.